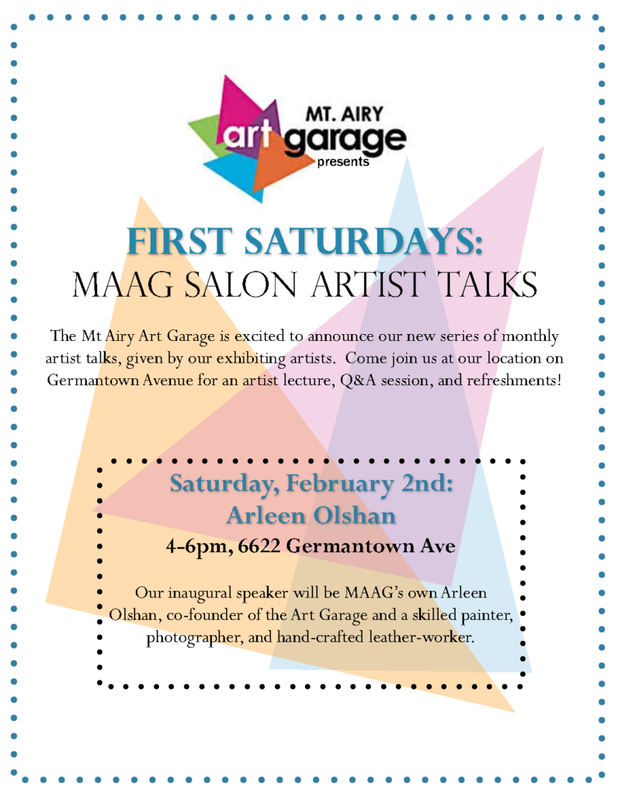 MAAG is thrilled to be launching a monthly series of artist talks on the first Saturday of every month! Stop by 6622 Germantown Ave every month to hear one of our artists speak about their work, process, influences, and inspirations– and get to know more members of the Art Garage community as well! Join us for our very first lecture, given by Arleen Olshan this Saturday, February 2nd, at 4pm. Refreshments will be provided!